Eat where the fishermen eat! Slice ginger thinly & cut slices into thin strips. 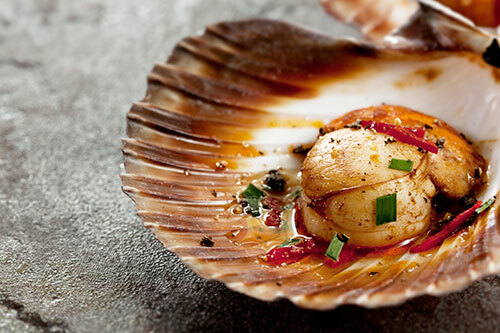 Place scallops, in batches, in a single layer bamboo steamer; top with ginger, lemongrass, chilli and onions.